Members of the United Nations concluded negotiations on the draft of the Political Declaration on the Fight Against Tuberculosis on 20 July. After weeks of heated negotiations over the inclusion of references to TRIPS flexibilities in the operative paragraphs, with the Group of 77 pushing for inclusion and the United States against it, the final text of the political declaration reflects the deadlock of these positions. Due to the inability of member states to reach agreement, the final text does not include substantive reference to TRIPS flexibilities. If no countries object, this final draft of the Political Declaration on TB will be adopted by the General Assembly at the High-Level Meeting on Tuberculosis, which will take place on 26 September at the United Nations in New York, and will serve as the authoritative agreement from which action plans will be drawn. According to sources, countries have until tonight in New York to decide whether to object, and G77 nations are considering their options. The Political Declaration on TB should be an ambitious document “endorsed by Heads of State that will strengthen action and investments for the end TB response, saving millions of lives,” according to the World Health Organization website. The 20-page draft text, seen by Intellectual Property Watch, lists prior agreements and other relevant instruments, and details the problems of tuberculosis inequitably afflicting poor populations and those suffering from other diseases such as HIV/AIDS, and the rise of multi-drug resistance. The draft declaration commits nations to specific targets for numbers of patients diagnosed and treated worldwide, a rapid scale-up in testing, and a range of ways to address the ongoing problems. These include health systems strengthening, community efforts, intensive research and development efforts, and a commitment of billions of dollars in funding for prevention, diagnosis, treatment and care, as well as research. A key group in the effort is the Stop TB Partnership. The co-facilitators responsible for leading the drafting and negotiating of this document are Walton Alfonso Webson, ambassador and permanent representative of Antigua and Barbuda to the UN, and Koro Bessho, ambassador and permanent representative of Japan to the UN. The final draft text of the Political Declaration on TB makes no reference to the flexibilities contained in the 1994 World Trade Organization Agreement on Trade-Related Aspects of Intellectual Property Rights (TRIPS) in the operative paragraphs. But it does include what seems to be a strong reference to TRIPS flexibilities, and the corresponding 2001 Doha Declaration on TRIPS and Public Health, in the preamble. In an interview, Leonardo Palumbo, advocacy advisor for Médecins Sans Frontières (MSF, Doctors Without Borders) USA, explained the significance of this text being in the preamble rather than in the operative paragraphs. Palumbo noted, however, that there is a compromise in this text. The last sentence of this text was changed in the final draft to emphasise only the role of intellectual property as an incentive for R&D, without mentioning the use of other incentive mechanisms. The World Health Organization Global Strategy and Plan of Action on Public Health, Innovation, and Intellectual Property (GSPA-PHI) [pdf], recognised that intellectual property rights alone are insufficient to incentivize R&D for drugs that do not promise high profit. It states: “Intellectual property rights are an important incentive for the development of new health care products. This incentive alone does not meet the need for the development of new products to fight diseases where the potential paying market is small or uncertain” (GSPA-PHI p7). The WHO further clarifies that the “price of medicines is one of the factors that can impede access to treatment” (GSPA-PHI p7), and that proposals for R&D should include “a range of incentive mechanisms, including, where appropriate, addressing the delinking of the costs of research and development and the price of health products” (GSPA-PHI p6). When reviewing the member state positions in the earlier drafts of the political declaration, it appears that the US formed the sole opposition to each reference to TRIPS flexibilities in the operative paragraphs. Palumbo explained, however, that while you only see the US objections on paper, there is a possibility that other countries shared the US position. Many other groups, including the European Union, opted instead for including text referencing TRIPS flexibilities, as is evident in earlier versions of the draft. This was made clear by the amendments the EU added to the TRIPS reference in OP14 of the 10 June draft, detailed below, which was subsequently removed from the final draft of the political declaration. The G77, representing low and middle-income countries, formed the primary bloc of countries in favour of including references to TRIPS flexibilities in the draft of the political declaration. The UN General Assembly hosted an interactive civil society hearing, in preparation for the High-Level Meeting on TB, on 4 June at the UN in New York. The interactive civil society hearing can be viewed here on UN Web TV, and a summary can be found here [pdf]. The representative of the US mission at the hearing made the following statement that communicates the official reasoning behind US opposition to TRIPS flexibilities in the negotiations. “According to recent reports, the United States government’s funding for global TB R&D makes up almost 60% of the world’s investment. We would like to take this opportunity to point out that most existing treatment drugs for TB are off patent and inexpensive and that of the two newer drugs, one is donated, and the other currently has limited use according to WHO guidelines. It is noteworthy, however, that the US government position on TRIPS flexibilities is not uniform. While the exclusion of text referencing TRIPS flexibilities from the Political Declaration on TB represents a missed opportunity for a new point of leverage in the promotion of affordable access to medicines, it does not in any way prevent the use of TRIPS flexibilities, explained Palumbo. 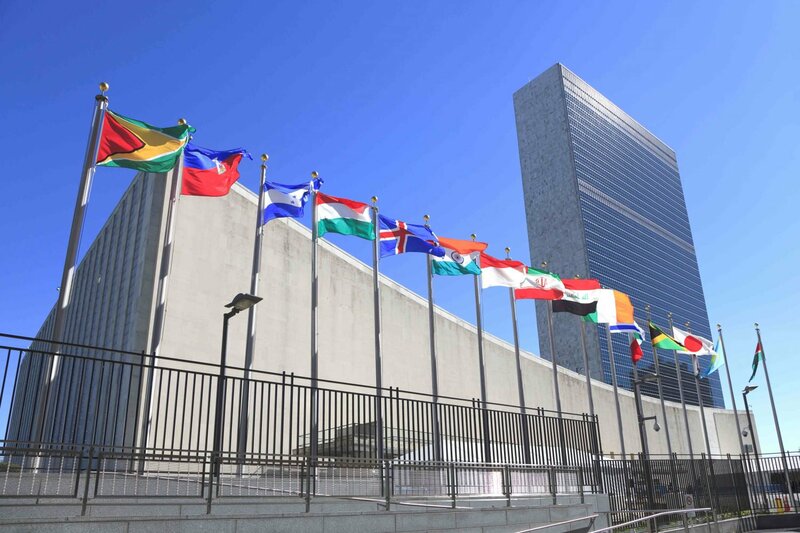 The UN is also negotiating a declaration for a high-level meeting on NCDs to be held on 27 September at the UN in New York (IPW, Health & IP, 6 July 2018). "UN Political Declaration On TB Finalised: No Commitment To TRIPS Flexibilities" by Intellectual Property Watch is licensed under a Creative Commons Attribution-NonCommercial-ShareAlike 4.0 International License.